SamirA wrote: We just need some basic furn and maybe broken versions for the Ayleid, like a bed, desk, cupboard, drawers, closet, table, chair. We also need a larger chest. After that all we really need for them are the weapons and armor. 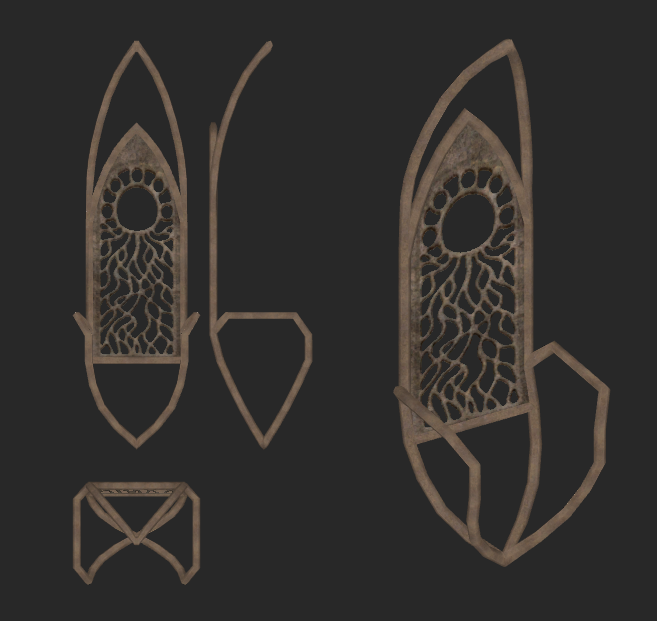 Everything left should be objects that are sturdy like stone/metal things. Maybe there could be a few disintegrating tapestries or something, but basically all cloth items should be dust by now. I don't actually like all of these things, but it's a start. 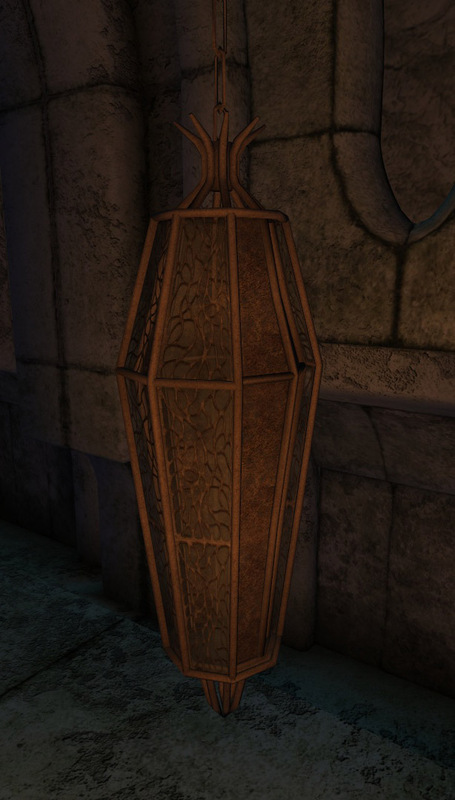 For Ayleid furniture I would suggest the moddeler look into alternative furniture types (that perform the same function): having the same types of bookcases and beds as the common, Dunmer and Dwemer furniture sets makes dungeons feel a bit like a reskin. Things like low tables and benches, chairs you're supposed to kneel on. Maybe base them in more oriental or antique Roman/Grecian types of furniture, rather than vanilla types. - Ayleid instruments: little knives, scissors, chopsticks, not much bigger than a lockpick. Indicative of the Ayleid pastime of recreational torture, though this should be implied more than outright stated. Elegant and sumptuously decorated items. They could double as lockpicks and probes. - Lower class pottery: very pale, greyish pottery, mostly broken, with crude patterns in darker clay on the outside that imitate the vine-like iron motifs of Ayleid decoration. 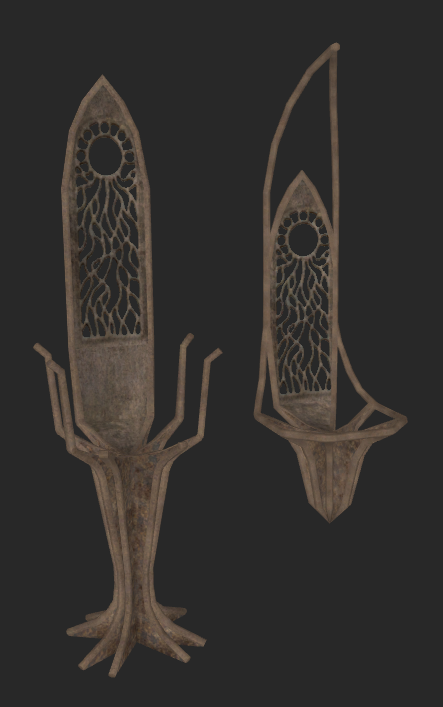 One of the big mistakes Oblivion made with the Ayleid was that their ruins seemed lifeless and without purpose, not indicative of a living culture. Indicating that there was a lower class that did not have access to fine ironwork might rectify this a little. R-Zero is working on these on the discord. Vertical chains of different length. Last edited by R-Zero on Wed May 10, 2017 1:59 pm, edited 1 time in total. After working with these chains I have to say that even the longest one is still way too short. You need to string together multiple ones to get a table to hang at a useful level. 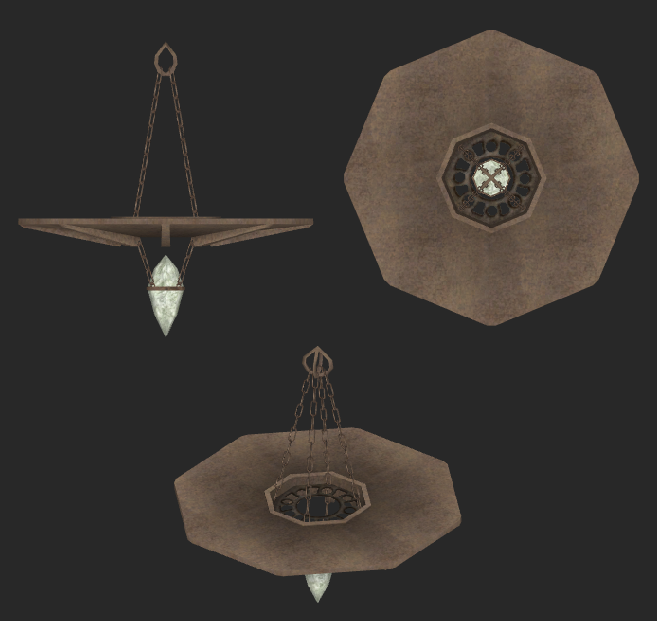 We need chains that are at least three or four times as long to reach to the Ayleid ruins' high ceilings. Will make 512 and 1024 ones, gotcha. Uploaded the above chairs, sorry for the extreme delay.